Part of the magic of all cotton candy machines is that they melt normal sugar and spin it into strands of candy pleasure. To do this, the machine has to heat the element to scalding hot temperatures, that’s 186 degrees C to be exacts. As you can imagine, these high temperatures do not mix well with tiny little fingers that risk burning if coming too close. 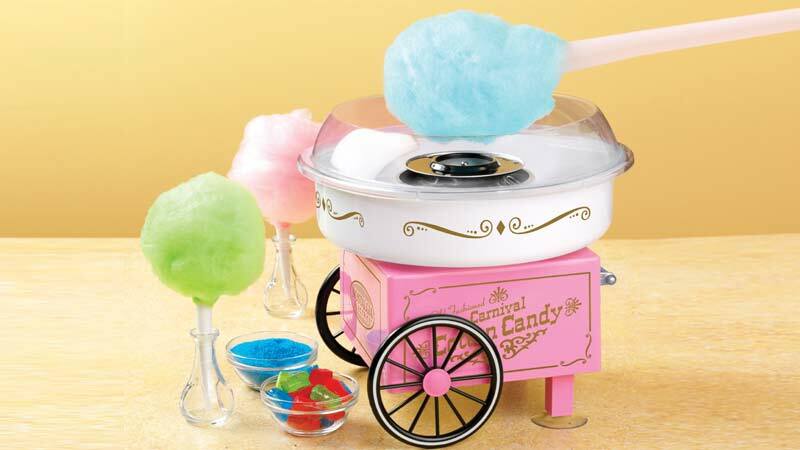 Even the freshly spun cotton candy filling the bowl can be very hot and burn little hands grabbing at the fluffy treat. Once the machine has heated up, the bowl will begin to fill with spun sugar which you can start to collect with a cone. 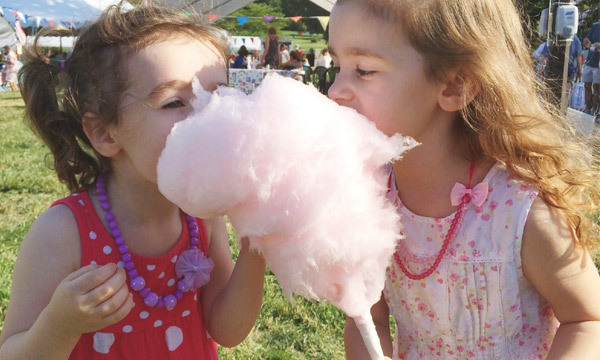 This is the time for young ones wanting to partake in the cotton candy making to take over. With adult supervision, they can continue to add to the ball of cotton candy. 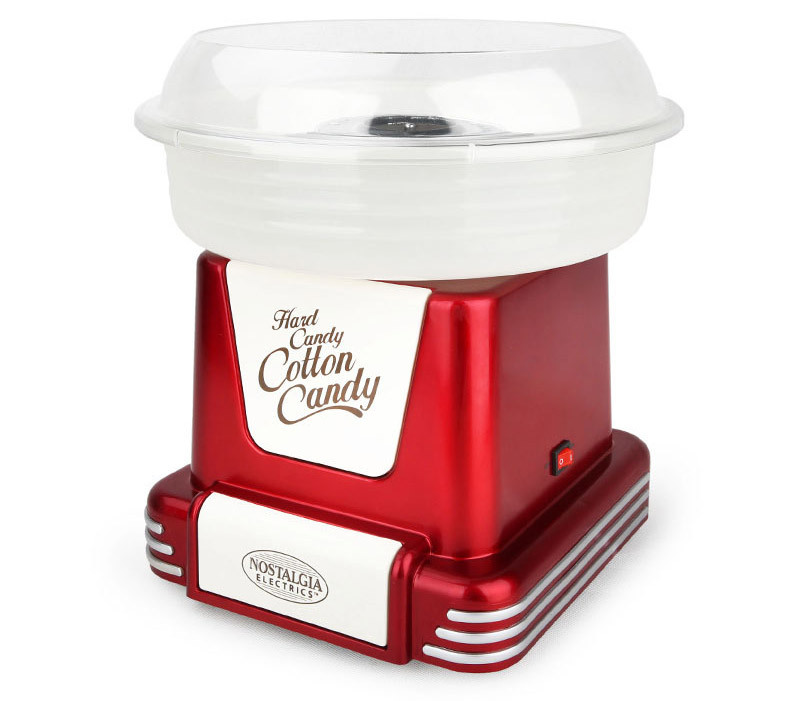 Available from our website are a selection of various cotton candy makers of which we have selected the Best 3 kitchen counter cotton candy makers which we feel would be the ideal Kids Cotton Candy Maker. As all 3 machines are small in size it is easy to be close to the kids and supervise even a few children eagerly standing around waiting their turn. The heating elements of the machine remain hot for quite some time so ensure the children are not alone with cotton candy maker. When collecting the cotton candy, cones tend to work better for collecting the spun candy floss into a ball. If the children wanting to participate are too young to work near the machine, they can be kept busy making cotton candy cones for you to fill. Making cones can be a fun part of the party activities. All you would need is paper, coloring pencils (if they would like to customize their own reusable cone) and Sellotape to secure the paper cone once complete. 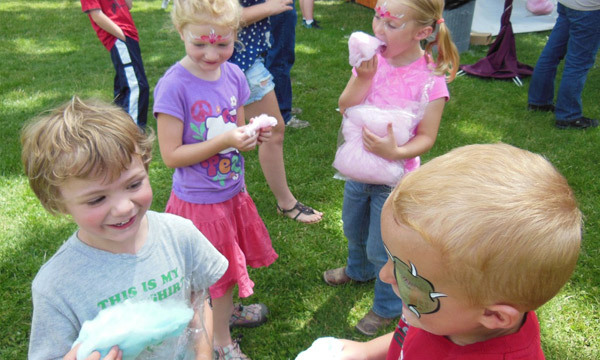 Spinning the cotton candy on to the cone can take some coordination and technique so initially the children could do with a little assistance and guidance to get them started. 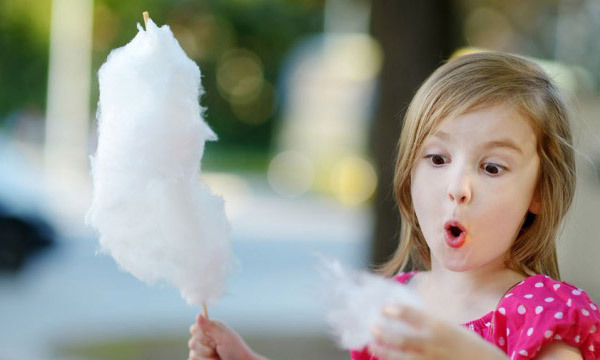 See how to make cotton candy for easy tips. An additional benefit of all three cotton candy makers we have selected for home use is the clear dome. This definitely assists with cutting back on any sugary mess. The dome catches a large amount of stray sugar strands that would ultimately end up sticking to a nearby surface. It also created an additional barrier for any curious hands wanting to grab some irresistible fairy floss. We wish you tons of fun and excited giggles while making this timeless treat. Happy cotton candy making!